Kenya has signed a deal with China as part of the east African nation's plans to have a nuclear power station by 2025, the Kenya Nuclear Electricity Board (KNEB) said Thursday. 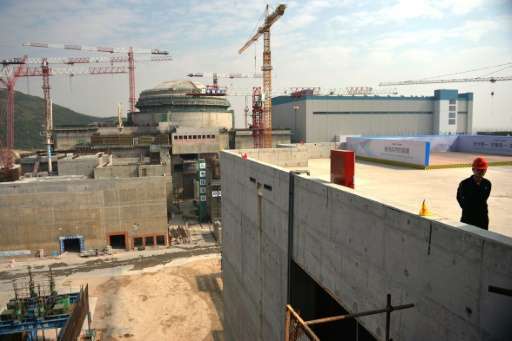 Kenya plans to set up its a first nuclear power plant with a capacity of 1000 MW by 2025, the board said, with ambitions to boost that to 4000 MW by 2033, and to make nuclear electricity "a key component of the country's energy" production. The Kenyans know nothing about nuclear technology, so everything, including the people will have to be imported. Have any idea how much a Nuclear Engineer costs? Know how many you will need? With alternative sources, they would have systems they can understand and control themselves, not be in huge debt to international corporations. This is exactly what they do NOT need! In this way, undeveloped countries should use only prehistoric technologies such as windmills. "The antinuclear movement created tales of hundreds of thousands of deaths and promoted those stories relentlessly (and continues to do so). Sensational media reports of catastrophic predictions were never followed with calm, reasoned reporting of the actual results." "Fukushima will result in no casualties and no long term radiation related illnesses, because the key mistakes that were made in the initial response to the accident at Chernobyl were not repeated. Worker doses at Fukushima were controlled so that no one was exposed to dangerous radiation doses." "There are plenty of economic motives for fighting the beneficial use of nuclear energy and for exaggerating the effects of the few accidents that occasionally happen." "Nuclear fission is the only reliable source of power that does not produce air pollution, greenhouse gases, or ocean acidification." "prehistoric technologies such as windmills." Willie, you're not very smart, and certainly no successful advocate for nukes and coal. gkam, you're not very smart, and certainly no successful advocate against nukes and coal. How do you know what Kenyans know? You assume a lot without research. Have you considered the improvement in the lives of the people that live there? Not everyone has the luxury of living where you do. Go without electricity for a year and see how your life "improves". Debt is easier than starvation. Perhaps the people building it know how much it costs. They ARE engineers, you know - real ones. Really? Do you think they need a ridiculously-expensive and technical technology for which they will have to import everything? Or should we start with empowering villages and reaching the people now using local resources, not in the ten years it takes to fund, plan and build a nuke? Yes, they do need it. The alternative is worse than the "dangers" posed by the technology. It is certain that a country as needy as Kenya will not have the interminable environmental reviews as any more modernized country. It is also apparent that they are pursuing all available routes to power their country. Kenya has had decades of relief and development aid coming into their country but it is not keeping up with the need to provide electricity for their rapidly expanding population. There are practically NO "local resources". It's not San Francisco. You seem to care more about the purity of Kenyan sovereignty than the actual lives of real people. Did you notice that Kenyans will be trained as part of this deal? Perhaps you should read a little more and knee jerk less. Wind-powered sailboats are that carried the Africans to the New World for working for free. While new forms of energy (industrial revolution) contributed for their real freedom. Oh, good, we'll have qualified Nuclear Engineers in only ten years! No Estevan, it is exactly what they do not need. Hmmm..... 10 years seems to on the long side of the education and experience curve, but since you never were one you probably just don't know. Due to the timetable of the project, and the press release stating that the Kenyans will work alongside the Chinese to operate the power plant, a reasonable guess would be that the Kenyans would train for the positions that they would qualify for educationally. At least THEY will have real degrees. If you want, gkam, you can apply at the University of Nairobi for a Masters in Nuclear Science. Of course, with only the degree you have you probably don't qualify. Too bad, so sad. You better hurry, the other students have a two year or more head start on you. "Besides the 2013 class comprising of 11 students, a further six students drawn from the Kenya Nuclear Electricity Board, Kenya Power and Kenya's Radiation Protection Board admitted last year are now concluding their two year Masters Studies in power generation, power transmission, and radiation safety." Would you really want a country to have only 3 of 10 people with electricity? You probably wouldn't mind, as long as they weren't a fellow KKK member. "You probably wouldn't mind, as long as they weren't a fellow KKK member." Wow, 17 STUDENTS! In ten years, you may have seventeen nuclear engineers, out of the hundreds you will need. Stop your silly KKK nonsense. Apparently, you stoop to that because you realize you have lost the debate. Actually there are more students, that data was 3 years old and doesn't include students sent to the U.S., Slovakia, and in their own Engineering system. And the rest are contracted from South Korea and China, as stated in press releases from the source cited. Read gkam, you can do it, read. It doesn't matter how many are from Kenya anyway. What matters is saving people from poverty, disease, and early death. There really is no debate, you haven't provided any facts or sources that Kenya doesn't need more power for it's population. Oh,stop it. You are babbllng nonsense. I did not say they do not need power, I said they need power appropriate to their circumstances, and that is not nuclear power. They can get power much faster and cheaper with smaller alternative systems they can understand and work with. They do not need another Big Daddy to come in and dominate their nation. We can help them do it themselves without the necessities for expensive technologies. Why would you make them wait for your nukes? How many will die waiting for your precious nukes? He tends to post lengthy, well-referenced posts. You tend to post one-line t shirt slogans and obvious lies and made-up facts. Who do you think benefits his cause more?